The phoenix (feng huang in Chinese) is a mythological creature that is a symbol of the sun. Phoenix Town (Feng Huang Cheng) is so called as legend has it that once two phoenixes flew over the town and found it town so beautiful that they hovered above it, reluctant to leave. Phoenix Town is a small city in the western part of Central China's Hunan Province. For tourists, Phoenix Town is a Chinese dream; a wonderland of ancient mysteries. This ancient small town, according to New Zealand writer Rewi Alley, is one of the two most picturesque small towns in China, with colorful and hospitable people. 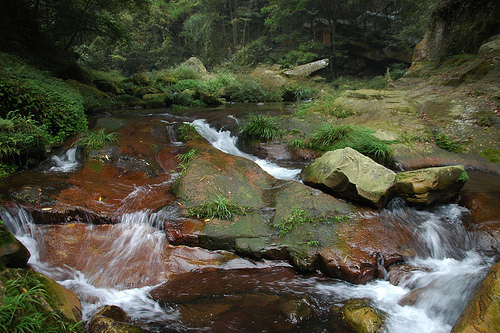 Surrounded by mountains and rivers, Phoenix Town is located in the western part of Central China's Hunan Province, south of the Tujia and Miao prefectures. Phoenix Town's history can be traced back to the Qin Dynasty (221-206BC). During ancient times it was called "Wu Gan," before being changed to its present Feng Huang name in the Qing Dynasty (1644-1911). Upon entering the town, visitors will be impressed by its air of mystery, elegance, and primitive simplicity, just like a phoenix. The bridges over the water and unique houses built on stilts display a harmony that is so often portrayed in traditional Chinese paintings. This is particularly true when mist pervades the scene in the early morning or after rain. This is a world that is dominated by the color green. 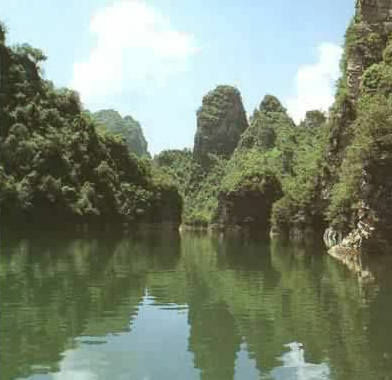 The mountain slopes are covered with green foliage, the fields are green, and even the Tuo Jiang River reflects the greenery. 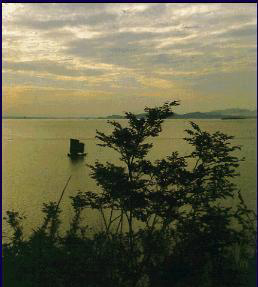 Tuo Jiang River is a life force of the local people. In its waters women wash their clothes and clean rice and vegetables while the men fish with their nets. On the bank, food is prepared in much the same way as it has been for centuries. The image of those stilted houses built on the high riverbank and the green mountains behind them reflecting in the limpid wave of the Tuo Jiang shows a harmony of the ancient city. Here dozens of alleys paved with flagstones run between the houses, each showing wear caused by the feet of generations of local people who have used them when going about their daily business. Along the old street are the crusted brick walls and plain thresholds. There are not many shops or colorful advertisement. Most of the houses open their doors and windows, which is assuring to visitors. Such profound and mystical scenes will evoke people's longing for a more remote and simpler time. The Miao ethnic minority is predominantly settled here and a visit to a Miao village is a must in any visit to Phoenix Town. The Miao women have a natural beauty that renders the use of cosmetics quite unnecessary. They love to dress in traditional blue garments set off with a white scarf. They also love their silver jewelry, especially during festivals. Visitors will find a large array of handmade items of silver ornaments for sale in the local shops. Homemade tie-dyes and printed and batik (a kind of dyeing method) cloths are other local specialties that make wonderful souvenirs. Food here also is different from that found elsewhere in China. Pickled red peppers are a particular local delicacy and their appetizing smell wafts from the many small family-run restaurants. 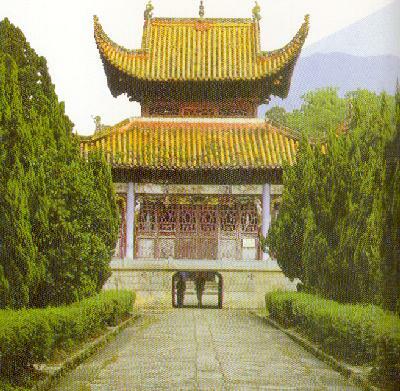 Although very beautiful, Phoenix Town does not rely entirely upon natural beauty to attract the visitor, for this ancient town with a history spanning 1,300 years has a number of remarkable old gardens as well as distinctive residential buildings, elegant bridges, and mysterious towers and pagodas. Phoenix Town is a special town that offers visitors from both home and abroad a view of a China quite different from anything experienced in the more widely known modern cities and large surrounding areas. The opportunity to travel in such a picturesque region will surely be remembered by any visitor as an experience of a lifetime. The design of stilted houses is amazing. Every house is connected by corridors on three sides and has wooden balustrades (stairs and railing, usually leading to a balcony, bridge, or terrace) protruding over the river, offering great views. On sunny days, many housewives wash and club their clothes under the stilted houses. It is a real sight to see them splashing water, stirring ripples on the river. Xiong Xiling was a great philanthropist, and the first premier of the Republic of China (1911-1949). His former residence, a traditional architecture done in Miao style, has a total area of 800 square meters. Shen Congwen (1902-1988) was one of the most famous writers in Chinese history as well as a historian and archaeologist. He contributed greatly to the development of modern Chinese literature and was twice nominated for the Nobel Prize in Literature. In 1991, his former residence was listed as a cultural relic, and has been carefully restored. Venerated by the local residents, the one-time home and the tomb of this famous and versatile writer have become tourist attractions. In 2000, archaeologists discovered more than 200 kilometers of ancient walls, similar to the world-famous Great Wall in Beijing. Research revealed that this wall was part of the Ming Dynasty (1368-1644) Great Wall.